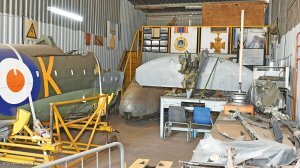 The South African Air Force (SAAF) Museum Spitfire Restoration Project has launched a crowdfunding project to raise money to pay for the construction of a new combined workshop and hangar at the museum’s main branch, at Air Force Base (AFB) Swartkop, in Centurion (south west of Pretoria), in Tshwane. 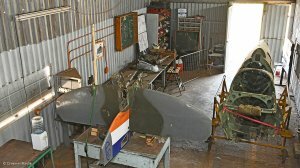 (The SAAF Museum also has sites at AFB Ysterplaat, in Cape Town, and at the old, Second World War, 42 Air Training School across the runway from Air Force Station Port Elizabeth.) The new building is essential for the restoration of the aircraft, as the current workshop facilities are far too small for the task. The subject of the restoration project is a Mark IXe, serial number 5518, built in May 1945 and delivered to the SAAF in 1947. It was retired from service in April 1954 and then preserved in nonflying condition for some 35 years, mounted on a plinth at AFB Waterkloof. 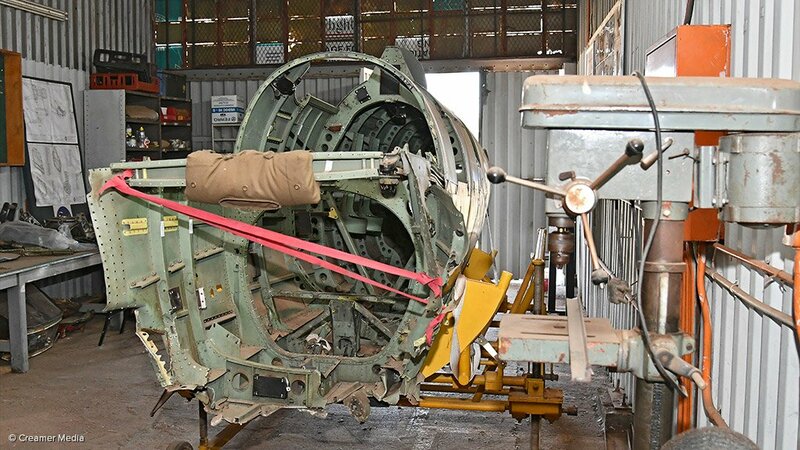 Following the controversial and much regretted export of South Africa’s previous preserved flying Spitfire (generally known by the name ‘Evelyn’ painted on its fuselage), 5518 was lifted off its plinth, completely stripped down to its basic frame and component parts and then evaluated. Depending on the results of the evaluation, the parts were either restored and reused, or remanufactured. This was a combined effort by the SAAF Museum, the SAAF’s No 1 Air Depot and the then Atlas Aircraft Corporation (later absorbed into the Denel defence industrial group). 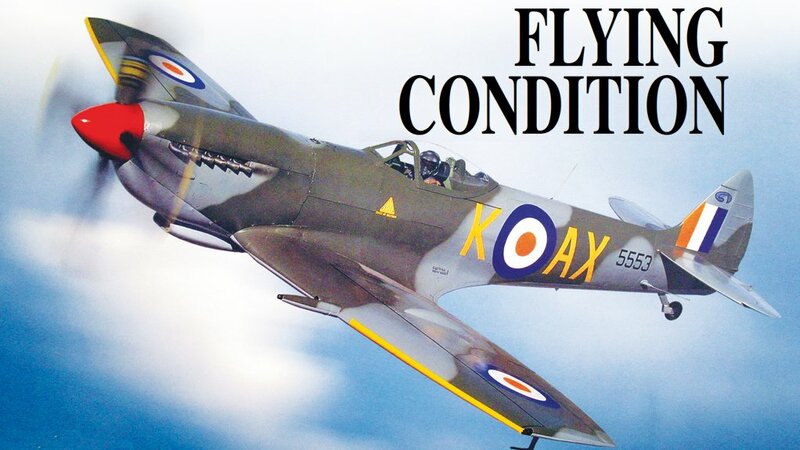 “It was actually completed to better- than-original factory standard, because, during the Second World War, Spitfires were ‘pumped out’ at a rate of about 43 aircraft a day and had an expected lifetime of 350 to 400 combat flying hours,” points out Project Steering Committee member (and former officer commanding of the SAAF Museum) Colonel Tony Smit. This restoration process was completed in 1995. Sadly, 5518 was wrecked in a nonfatal accident in 2000. 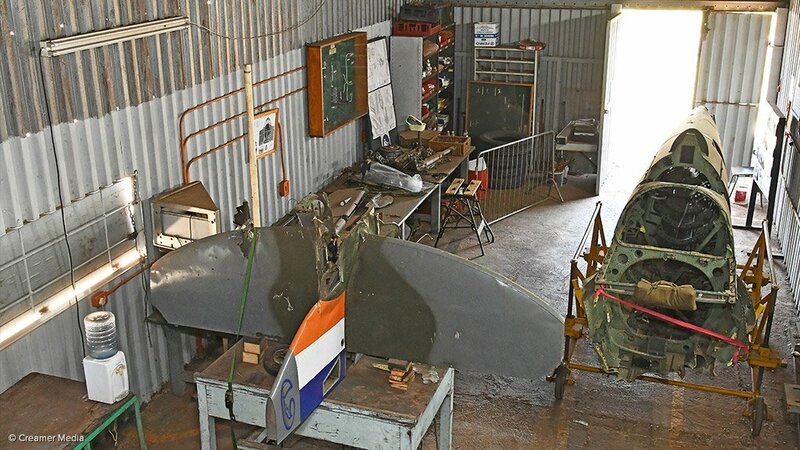 The proposal to restore it again was authorised by the SAAF Museum Council in 2015, and the plan is to again return it to its original condition. The crowdfunding initiative was launched late last year, and, as its launch was soon followed by the beginning of the summer holiday period (during which significant sections of the South African economy effectively close down), it has experienced a slow start. “Crowdfunding needs awareness,” highlights project communications and marketing head Karen Heydenrych. “We have raised in the region of $250 and we need much more for the hangar.” In fact, R800 000 is needed to build and equip the workshop hangar. (The link to the crowdfunding initiative is https://gogetfunding.com/help-to-restore-spitfire-sn-5518/). “We have also set up a nonprofit, public benefit organisation, so any company or individual who makes a contribution, whether in cash or kind, can now obtain a tax benefit or a refund from the skills development levy,” stresses Restoration Project director Ian Grace. The Spitfire is the most famous and important British fighter aircraft of the Second World War (1939 to 1945) – only the Hawker Hurricane comes close to its fame. Together, the Spitfire and the Hurricane inflicted, in the Battle of Britain (1940), the first strategic defeat on Nazi Germany. The Spitfire went on to play a crucial role in air combat throughout the Second World War in all the war zones except China and the Central Pacific. It is also regarded as one of the most beautiful aircraft ever produced. The prototype Spitfire first flew in 1936 and 20 351 of the aircraft, in 24 marks, were manufactured, production ending in 1948. Further, 2 646 examples of the naval version of the aircraft (adapted to operate from aircraft carriers), the Seafire, were produced, in eight marks (Seafire manufacture ended in early 1949). In addition to its use by Britain, the Spitfire served in the air arms of almost all the allied countries during the Second World War, including the Soviet Union and the US, as well as South Africa. 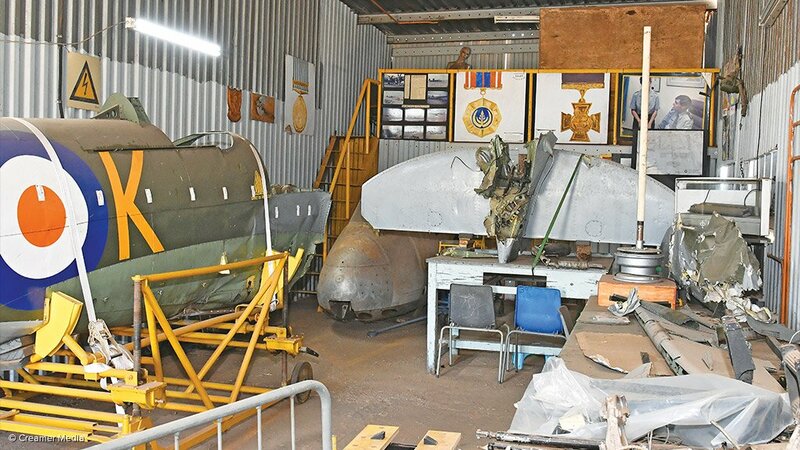 While nearly all the surviving parts of the Spitfire are held at the museum’s Swartkop site, they are being stored in three buildings located in different areas of the base, owing to the limited space available in the existing workshop. It is also not in an ideal state for the work to be done. The workshop currently holds the fuselage, the empennage (comprising the total tail section) and various key components such as the fuel tanks, undercarriage oleo legs, instruments, and so on. The wings are stored in a second location, and the engine – a Rolls-Royce Merlin Mark 66 – in a third location. The one major component not at the museum is the cockpit canopy. This is because its restoration was more efficiently done elsewhere – the canopy is now almost entirely restored, with the help of Associated Chemical Enterprises (better known as ACE) and ACE subsidiary Oceanautics Acrylic Factory. Only the side windows of the front windscreen need to be restored (and this will have to be done in Cape Town). As for the rest of the restoration – rebuilding might be a more accurate term – this is being headed by aeronautical engineer Robert Cathro, who is employed as a structural engineer by a large South African aerospace and defence company. He was appointed to the role late last year, and is currently seeking to recruit other aeronautical engineers to the project. The project holds an extensive collection of Spitfire drawings – almost 2 600, in pdf format; these drawings were made available by several donors. “This is a very impressive collection and a gift for which the project owes a great deal of gratitude to a number of generous supporters,” observes Smit. However, Cathro has estimated that these drawings represent less than 50% of the drawings needed to carry out the rebuilding. “What is more, very few material processing instructions are available and these are essential to form the material correctly, maintain the appropriate tolerances, perform the right steps in assembly and perform the correct inspections,” highlights Smit. “The project is in need of designers, draughtsmen, process planners and inspectors to meticulously work through the drawing set, identify the gaps and then fill them in with drawings produced by reverse-engineering of the parts and assemblies on Spitfire 5518 or by acquisition from third parties.” The project has also benefited from other donations in kind, including some machinery, tools, and original Spitfire components. The restoration will be undertaken as sets of work packages that can be distributed to designers, planners and workshops according to needs and capabilities. The project office will manage the activities as an integrated process and in coordination with the airworthiness authority to ensure compliance. But the most complicated task will be the restoration of the fuselage and wings. The Spitfire’s entire airframe was distorted in the crash. To restore it will require the use of specialised jigs, which will have to be acquired. These could be bought from a British company that restores Spitfires. If this option were chosen, the jigs would be delivered, disassembled, in a single container. (Alternative jigs available around the world are all in one piece and are too big to transport.) The jigs would have to be assembled by the restoration team, using measurements and technical drawings of an intact Spitfire to assemble them correctly. The cost of buying new Spitfire jigs has yet to be confirmed, but they would come at an exorbitant cost. A possible alternative would be to reverse-engineer the jigs, using laser measurements taken from the nonflying Spitfire preserved at the Ditsong National Museum of Military History (formerly the South African National Museum of Military History), in Johannesburg. But it is not clear whether any local company would be willing or able to do this. “It would be a massive boost to the project, thereby enabling the commencement of the fuselage rebuild,” affirms Smit. It would also be a major advance for many other aviation restoration projects in the country. Particularly important will be a new fuselage frame five, which is located at the front of the fuselage and where both the engine is mounted and the leading edge of the wing is attached to the fuselage; frame ten, which is located under the pilot’s seat and to which the trailing edge of the wing is attached; and frame 19, to which the empennage is attached. Also important are the fuselage longerons, of which there are four, which run along the length of the fuselage; all four will have to be replaced by new ones. Finally, there is also an intention to use the Spitfire programme to uplift the entire museum by attracting attention to the institution and its exhibits as a whole, hopefully resulting in further outside support. One simple but important initiative the museum would like to undertake, in association with local industry and universities, is to mount all its aircraft on stands. This would remove the weight of the aircraft from their wheels, thereby halting the deterioration and deflation of their tyres. Aircraft tyres are not cheap to replace. The use of stands could also reduce the stress on the airframes as well. The SAAF Museum’s technical team is highly regarded internationally – the team is seen as one of the best in the world. Colonel Smit has been involved in the restoration and test flying of the first 11 aircraft that are preserved in flying condition at the museum. 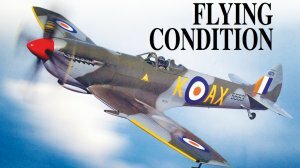 “The restoration of our Spitfire will get worldwide recognition, which could benefit the SAAF, the South African National Defence Force and South African industry as a whole,” he affirms.